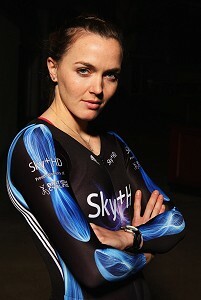 Olympic champion cyclist Victoria Pendleton is getting on her bike for the British Red Cross and you can join her. Brand new for 2009 the British Red Cross Big Red Ride from London to Eastbourne will take place on Sunday 26 July. Covering 75 miles the ride will start from Blackheath Common in south-east London, heading south through the East Sussex countryside and finishes up at Eastbourne's magnificent seafront. Victoria, who won gold at the 2008 Beijing Olympics, said: ''Join me on the British Red Cross Big Red Ride and experience cycling through beautiful English countryside and along stunning coastline. Raising money to support people in crisis in the UK and overseas - get on your bike and make a difference." Whether you're new to cycling or experienced in the saddle, this achievable challenge offers an exciting new route in beautiful British countryside. Register online today to be part of the action. Each rider is required to pay a non-refundable deposit of £25 to secure their place and asked to raise money for the British Red Cross.